This badge was issued to István Kálmán on 29 Jan 2019. 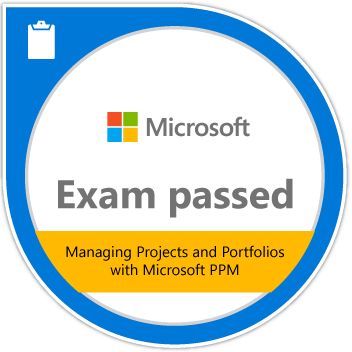 Passing Exam 348: Managing Projects and Portfolios with Microsoft PPM validates a candidate’s skills to manage projects, programs, or portfolios in the Microsoft Project Portfolio Management (PPM) environment. 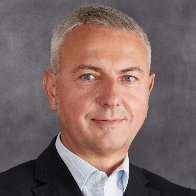 Earners demonstrate a solid understanding of key project and portfolio management concepts and terminology and also have extensive hands-on experience using and configuring all the components of Microsoft PPM and its equivalent on-premises.